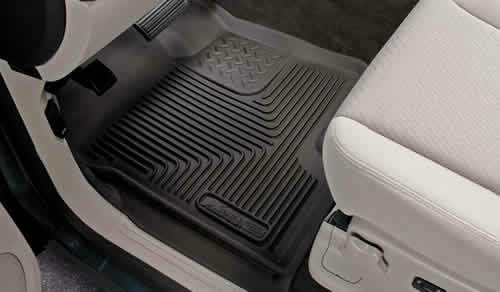 X-act Contour™ series Floor Liners are engineered to fit the complex contours of your vehicle's carpeted floor boards. X-act Contour™ series Floor Liners form-fit design and raised containment walls will help keep your carpet clean even in the worst weather conditions. Fluid containment ribs and treads channel messes away from your shoes. This unique design keeps mud, snow, water and debris off your vehicle's expensive, hard to clean carpet.